15cm Monsoon Shower head. 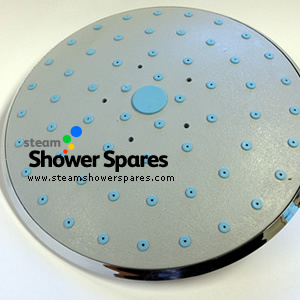 This part is fitted into the ceiling/roof of steam shower cabins. It has a 15mm threaded connection to attach the water feed. This part can be fitted into a diffuser cover.